Those who have seen any Elephant 6 band (or were lucky enough to catch a Holiday Surprise show) know that the members of the collective have a distinct whimsy and deep connection. Even just listening at home, fans can feel it in the harmonious racket of The Olivia Tremor Control, Apples In Stereo, Elf Power, etc. They’re a delightfully strange and talented bunch that has fostered an intense fanbase, and now those fans are being called upon to help produce a documentary about them. Filmmaker Chad Stockfleth has been working on his Elephant 6 documentary, A Place We Have Been To (named after an Olivia Tremor Control song), for several months. He’s gathered archival footage and reached out to various members for interviews, and now he and other producers are turning to crowd funding to complete the film. All donations of $19 or more come with an Access Pass that includes a digital download of the film and special artist updates. 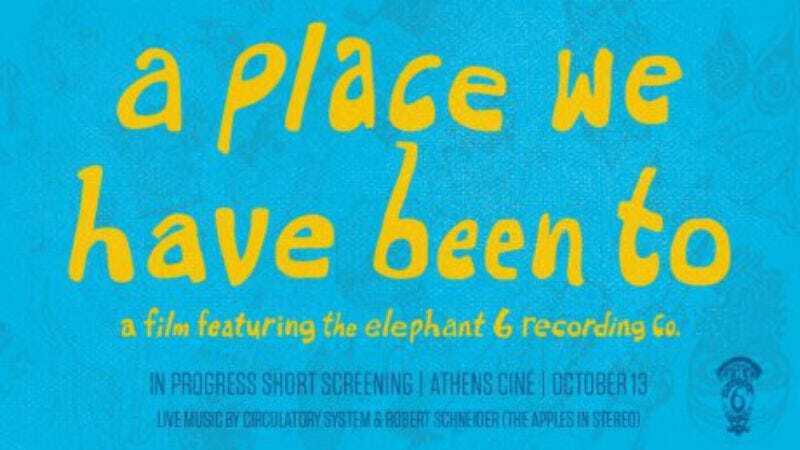 Subsequent levels of donations are rewarded with tickets to an “In Progress” screening on October 13 in Athens, Georgia—which will also include performances from The Apples In Stereo’s Robert Schneider and Circulatory System—plus posters and T-shirts designed by OTC’s Will Cullen Hart. Heftier donors will even receive producer credits. The project’s Pledge Music page features a teaser video brimming with old footage set to the sounds of Olivia Tremor Control, plus interviews with E6 founding members Schneider, Hart, and the late Bill Doss. There doesn’t seem to be any commentary from the fourth founder, Neutral Milk Hotel’s Jeff Mangum, though this video is just a preview. In the meantime, donate to help raise Elephant 6 awareness—or just to make it easier to explain how the whole thing works.